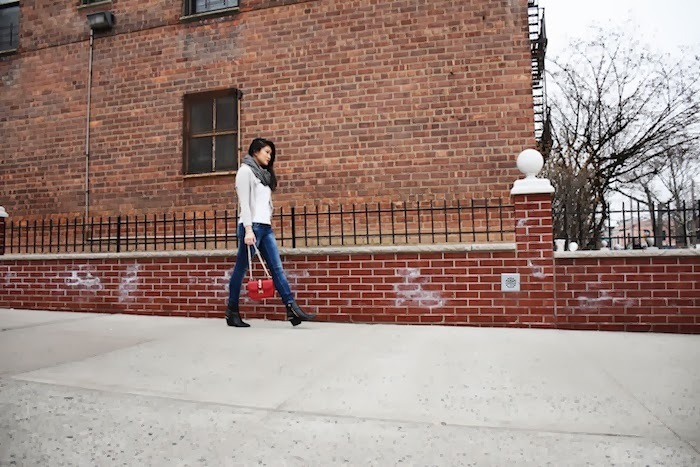 Just a casual post today of myself in jeans and my new spankin' Valentino Rocklock bag! Jeans may not seem like such a luxury but working in a corporate environment 5 days a week will make you miss jeans so, so much. I love dressing up most of the time since I feel most comfortable in heels and a dress but man did I miss a simple sweater and jean day. Here's to almost the weekend! Also, tomorrow's the last day to enter my giveaway with It's Called Retail Therapy! See the post here for details, and good luck all! You look fabulous love the outfit and handbag. You look so incredibly chic dear, love the red bag! such a lovely outfit, simple and lets the bag stand out ! Girl you look amazing!!!! Those boots and that bag are to die for!! This look is so casual-cool! I love it! I don't think denim is boring at all. I love how they've become an item for anytime and anywhere. You definitely dressed them up with your booties and bag! I love the pop of red as well. You look fabulous as always! Gorgeous photos! I love your boots and congrats on your new Valentino! 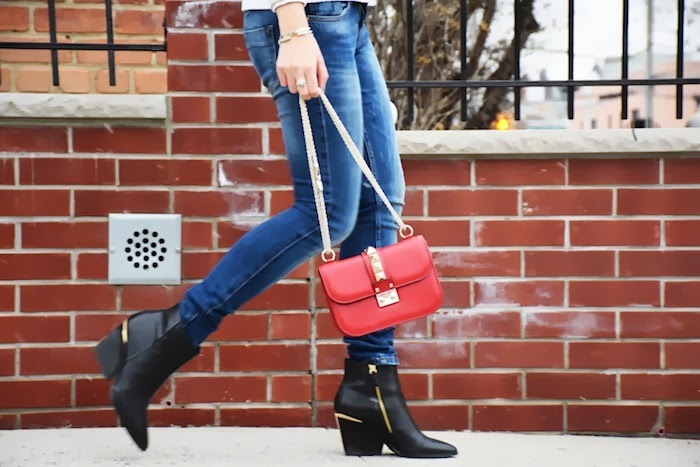 Super cute boots & I LOVE that bag! Beautiful outfits!! In love with that bag!!!!! These heels are completely fabulous! 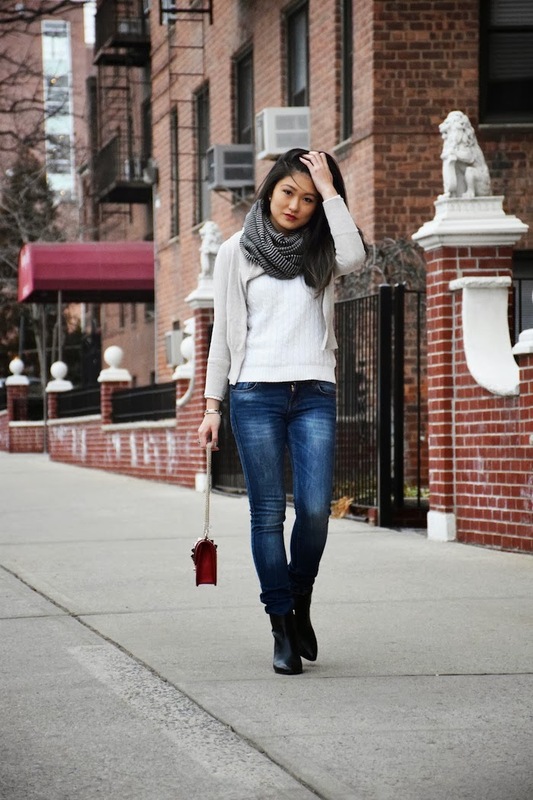 I love this look on you and you definitely know how to rock a great pair of jeans! What a beautiful bag! I love the little "mohawk" stud detail on it. Also, those boots are beautiful, especially the sliver of gold on the heel. I love your back and boots <3 Lovely casual look.